Getting back in the swing of things here ar SciFiGuy and I can't think of a better way than having Faith Hunter as a guest for the launch of the 6th Jane Yellowrock novel Blood Trade. We'll be having a giveaway for a copy of the new book. 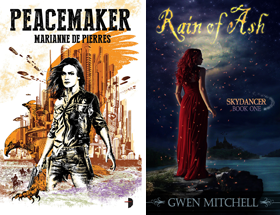 Faith Hunter will be joining us April 16 so be sure to drop buy, enter the contest and leave a comment for Faith. 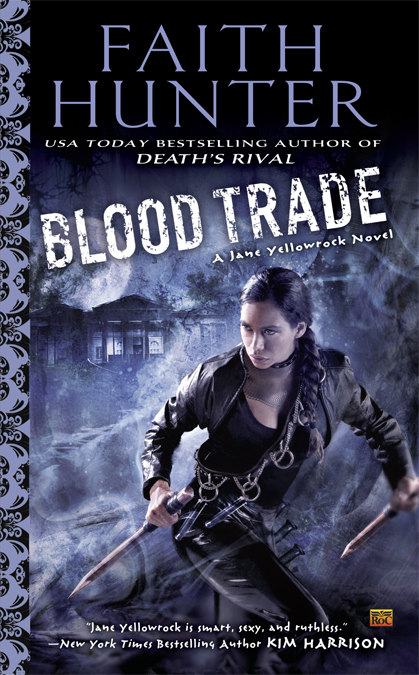 Jane Yellowrock is a skinwalker and vampire hunter and one of the more engaging urban fantasy characters and a personal favourite. I highly recommend this series. Here is the cover and blurb for the book which is on shelves now (as of April 2).